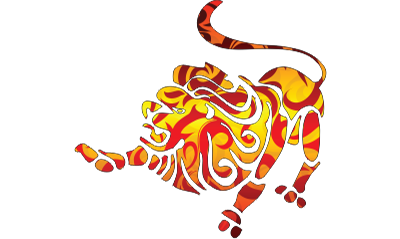 Leo is the fifth sign in the zodiac, which symbolizes The Lion, and is considered the most powerful and dynamic one. Its ruling planet is the Sun. The people belonging to this sign are ambitious, courageous, dominant, strong willed, positive, independent, and self confident. There is no such word as doubt in their vocabulary, and they are self controlled. Leo is the natural sign of love and romance. Leo is an ideal lover and is generous, appealing and glamorous. In marriage, a Leo is possessive and loyal. They are warm, considerate and lovers with style, wooing the beloved in the most elegant manner.